Vernier calipers are a form of highly accurate measuring device that gauges to the thousandth of an inch the distance between two symmetrical sides opposing one another on an object. What makes a Vernier caliper unique from other types of calipers is the inclusion of a vernier scale which enables these calipers to be even more precise. In order to ensure precision of measurements, it is important the calipers be maintained by calibrating them regularly and carefully. Clear the caliper jaws and track of grease, dirt or any other foreign matter by wiping them completely clean with a cloth. 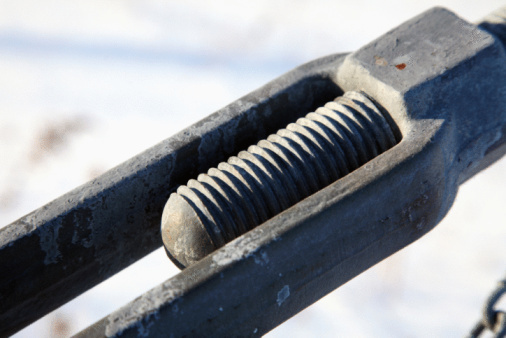 Ensure that the gear glides smoothly across the tracks by moving it back and forth. Close the jaws together and note the reading at this time. The dial should read zero. If it doesn't, manually adjust the dial to zero. Check the OD jaws first by inserting a .500-inch (12.7 mm) gauge block in between the caliper jaws. Close the caliper so that both jaws are touching the block. Record the reading. Repeat step 4 with a 1-inch (25.4 mm) gauge block and then a 4-inch (101.6 mm) block. Record both readings. Repeat step 4 using the appropriate size micrometer standard (150, 200 or 300) as well. Record this reading. Check the ID jaws by setting the calipers to 12.7mm and locking them into place. Measure the jaw width with another pair of calibrated calipers. Record the reading. Repeat step 7 for 25.4 mm and 101.6 mm settings as well as for the appropriate length of caliper, either 150, 200 or 300. Record these readings. 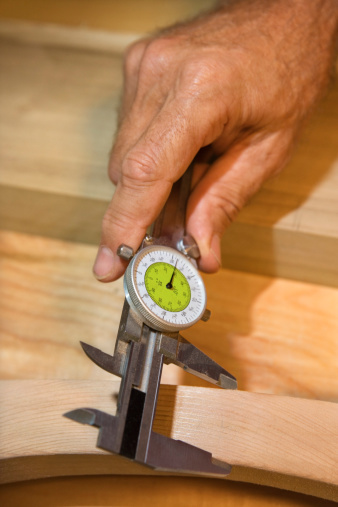 Perform a height check by setting a 12.7 mm gauge block onto the surface plate. Extend the caliper above the block and then close it until it is just touching the block. Record this reading. Repeat step 9 for both 25.4 and 101.6mm gauge blocks. Next place the correct size micrometer standard onto the surface plate and extend the caliper above it, then close the caliper until it is just touching it. Record all of the readings. Karen Crawford is a freelance writer living in the Florida panhandle. She has written for both print and web publications, such as LiveStrong.com and eHow, for close to 10 years. Crawford is a graduate of Florida State University with a Bachelor of Science in clothing and textiles.